Professor Dr. Ronald E. Waterman has launched a documentary on half-a-century development of the Dutch coast. In 15 minutes a clear picture is given about coastal development and the underlying principles as the latest phase in Dutch hydraulic engineering. Beginning in the seventies coastal reinforcement and expansion projects from Rotterdam to Den Helder are shown. Sophisticated examples of integrated, multifunctional sustainable development of the coast of the provinces Zuid-Holland and Noord-Holland in the Netherlands, to which Prof. Waterman has contributed significantly. The film also shows some possible future developments in several places along the coast. This is based on the idea that good plans have their roots in the past and are anticipating the future. 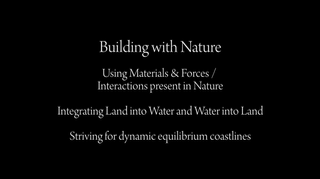 The principle 'Building with Nature' aims for a dynamic balance of the coastline through the integration of land in water and water in land using materials, forces and interactions in nature. 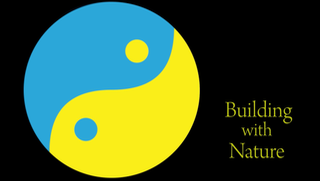 This principle is coupled with integrated multifunctional sustainabel coastal zone development in order to give an answer to the question: how can we solve many existing and future problems in relation to each other and in relation to the existing hinterland on the one hand, and the bordering sea on the other, while creating added value. The characteristics and history of coast and seabed play also an inportant role. In the documentary are many striking examples shown, such as Maasvlakte 2 with harbor / industrial area and new beaches and nature, Katwijk with parking under new dunes and IJmuiden coastal extension including lake, marina and nature reserve. The documentary is a co-production with Foundation New Holland, Ecoshape, Rotterdam Port Authority, Royal Boskalis Westminster, Van Oord Marine Ingenuity, Svasek Hydraulics, Luc Staehle, Netherlands Water Partnership, Deltares, Ministry of Environment & Infrastructure consulting, Prof. Dr. Ir. Marcel Stive, Caroline Dijk Paul Hosek, DPI Animation House and Paul Liesting Cartography. The documentary can be viewed at this YouTube channel. Unique creations along our coastline deserve to build on. The gold edge of the dunes and North Sea beach forms the basis for further development of the Dutch Delta City. 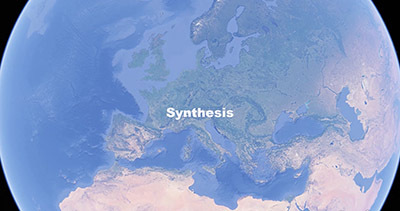 This synthesis gives a 'vista'.